Roasted "gold coin" chicken (懷舊金錢雞) - this is what the Great One and I missed most. The gold coin chicken, aka cholesterol sandwich. We have never found its equal anywhere else, and were ecstatic at the prospect of having the "real deal" again. Curiously, these were missing the top layers of the "bun"... so one could not hold them like sandwiches. Here's a close up shot, and you can see that awesome glaze on top of the glistening fat. These were also significantly thinner than the ones we used to have at Manor. I cut one in half to see the cross section. We've got barbecued pork / char siu (叉燒), chicken liver, taro, pork fat (冰肉), and the bottom bun. The char siu was definitely too thin, as was the chicken liver. Not nearly satisfying enough. But the real problem for me was that the thing was too salty, and slightly too tough. This appears to be on the regular menu at West Villa, but it isn't the same as our beloved cholesterol sandwich. This one's too skinny. Roasted suckling pig (天下第一豬) - ah yes, the "number one pig under the skies"... or so the restaurant claims. We would naturally compare this to the one at Fook Lam Moon (福臨門) / Guo Fu Lou (國福樓) / Seventh Son (家全七福), which is kind of the standard-bearer in our minds. I'm not sure that this was significantly better or worse than what I could get at the trio of restaurants above, although I think if I had to pick fault, the crackling tonight was a little bit uneven. But heck, this was a roast little piggy! Ain't nothing better than this in the world! Double-boiled soup of conch with maitake musaroom (淮杞燠響螺湯) - ummmm... major typo and lost in translation here... First of all it's "mushroom", and in reality there's no maitake (舞茸) mushroom here. The other main ingredient is Chinese yam (淮山) and, of course, chicken. The abalone was nicely scored not only to enhance the flavors but also the texture. Yum. Roasted goose (鮑皮燒鵝皇) - pretty good roast goose, but a few of us at the table all agreed that Yat Lok still comes out tops. Stir-fried cabbage with dried shrimp (蝦干炒椰菜) - I really liked this dish. Very simple, with shredded dried shrimp mixed in among the shredded cabbage. The wok hei (鑊氣) was apparent and beautiful. Blanched vegetables (大哥灼菜) - some choy sum (菜心) in superior broth (上湯). Manor signature stir-fried noodles with soy sauce (富瑤豉油皇炒麵) - this was damn good... Isn't it amazing that sometimes the simplest dishes - nothing more than noodles stir-fried with bean sprouts and yellowed chives in some soy sauce - could be such a thing of beauty? Oh yeah, the wok hei (鑊氣) was good here, too. Almond flavored bun (雪影杏汁包) - a signature dish. Fragrant almond custard inside a crispy yet fluffy bun. A nice finish. 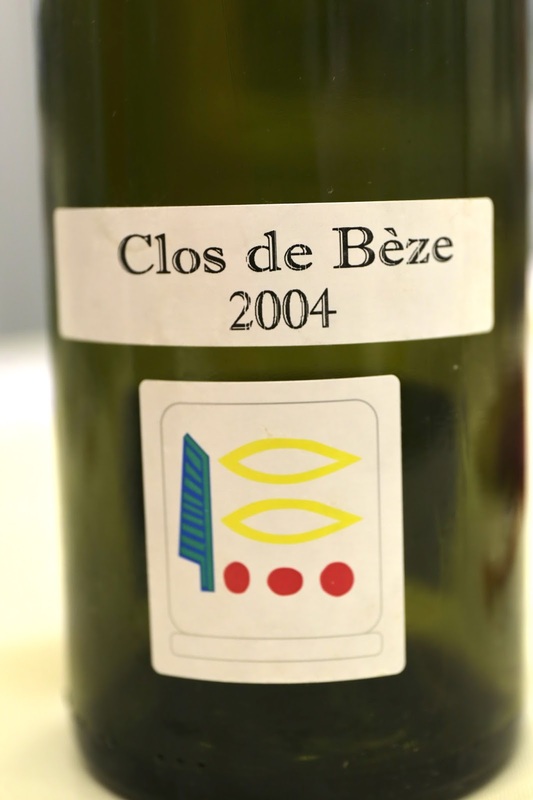 2004 Prieuré-Roch Chambertin Clos de Beze - so fruity as always, with strawberries, nice toasty notes, a little plummy, and later on a little Chinese angelica (當歸). Very nice and enjoyable. 2004 Ponsot Griotte Chambertin - nose was definitely more closed initially, without decanting or aeration. A little smoky, animal, leather, with a little violet later. More acidic. Not drinking as well as the Prieuré-Roch. 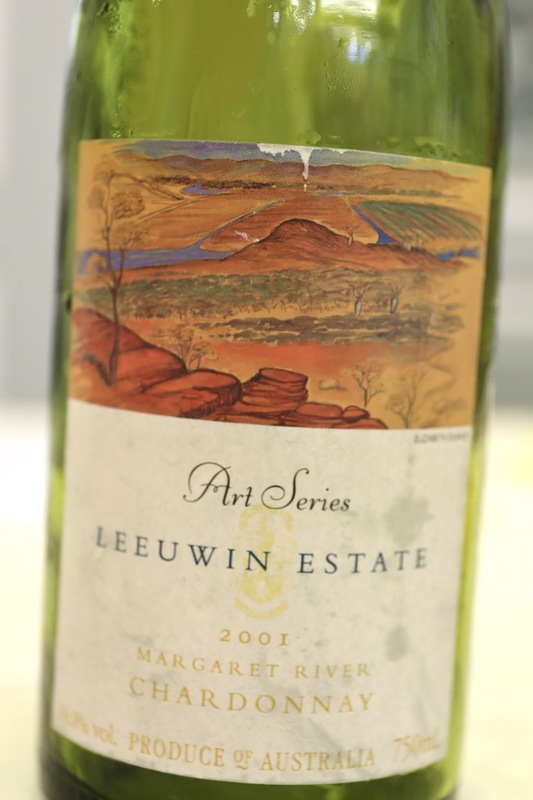 2001 Leeuwin Estate Chardonnay Art Series - vanilla and lemon. Soooo ripe and buttery. Yum! That was A LOT of food... but very satisfying. While the gold coin chicken was a little bit of a let down, it gives us hope that maybe, someday, we will have the opportunity to have the real deal again. Many thanks to our friend for the arrangement and the generous treat!